It is located on a fertile plain, divided by the Mannu river into two urban centres. Santadi is a village in Lower Sulcis with three thousand 500 inhabitants and a strong wine-making tradition which has reached international heights thanks to Carignano wine. The cheeses and delicious typical local breads baked in wood-burning ovens are also excellent: civraxiu, su coccoi, bread with Ricotta cheese and gerda (pork fat). The pastries vary according to the festivities: macaroons, gueffus and pardulas. The honey and olive oil are also excellent. The upper part of the village extends around the parish church of San Nicolò, dating back to the 15th century and rebuilt in the nineteenth century. 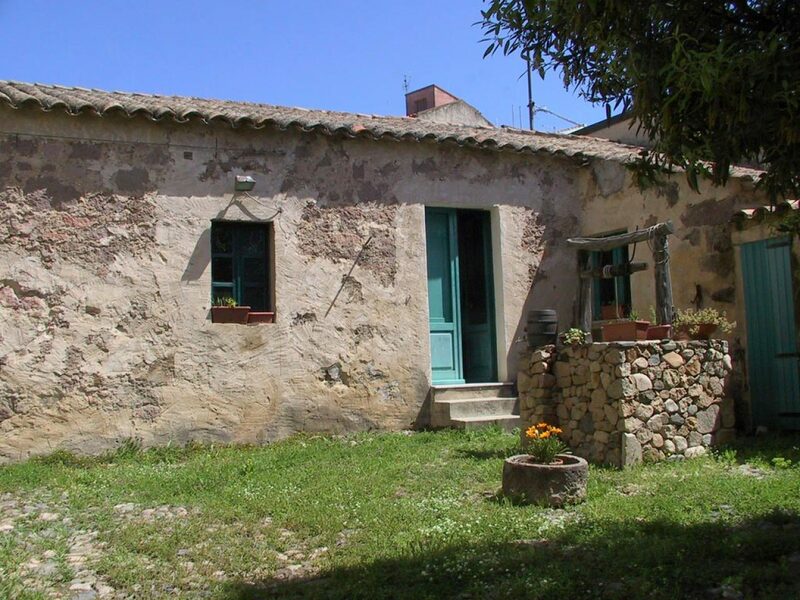 In the centre, you will discover Sulcis customs in the house-museum of Sa Domu Antiga. Also worthy of a visit are the Book Museum and the Doll Museum. The event par excellence, at the beginning of August, is the Matrimonio Mauritano (Mauritanian Wedding), with a ceremony based on ancient rural traditions. 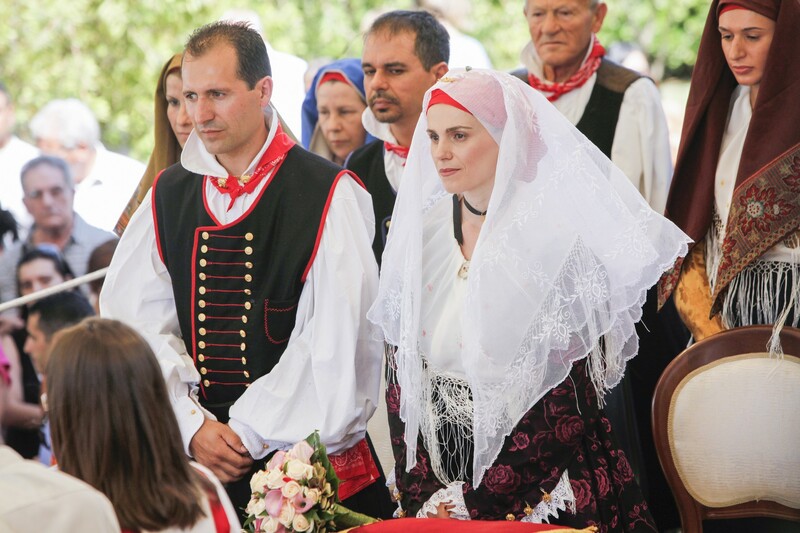 Decorated floats pulled by oxen accompany the bride and groom wearing traditional dress, followed by a wedding procession with folk groups from all over the Island. At the end of the ceremony, auspicious rituals are celebrated. 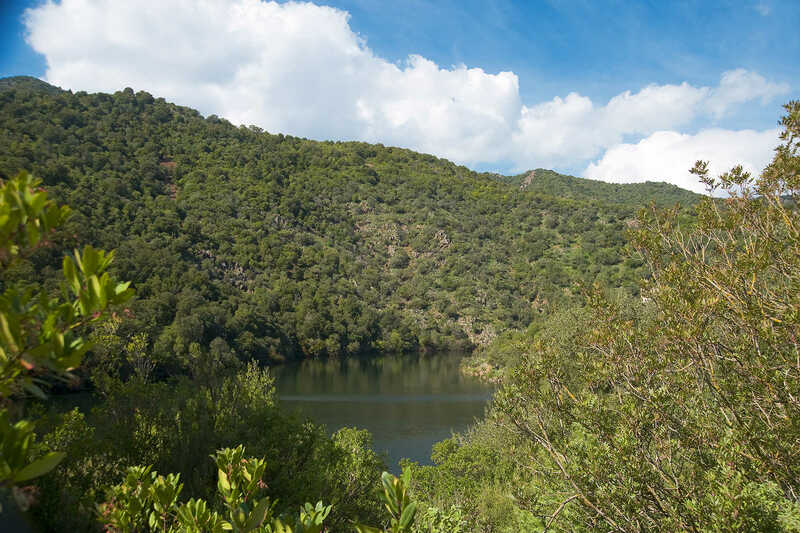 The Santadi woodlands are part of the Gutturu Mannu park, where one of the largest green areas in Italy lies (35 thousand hectares): holm oaks, cork oaks, yew trees, holly and Mediterranean scrub, ideal for trekking. 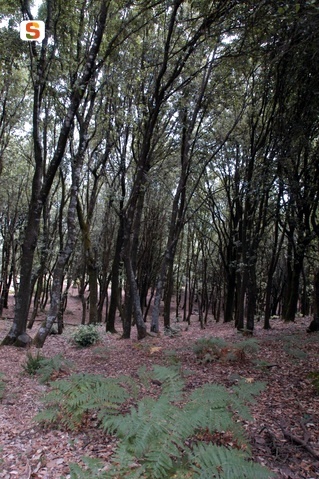 In the district of Pantaleo, a village once linked to mining activities, you can walk through a forest with centuries-old trees. 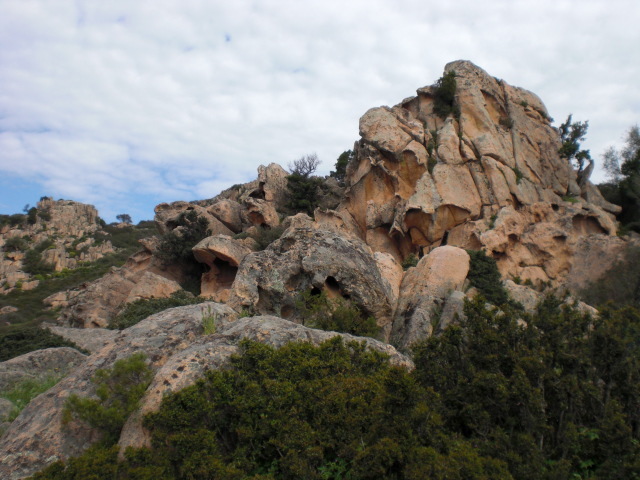 The Sardinian deer and the fallow deer live here and are protected. In this setting of lush vegetation, there are natural caves. Unique in the world are the Is Zuddas grottos, a splendid underground setting created by the incessant action of water over 600 million years. They open up in the limestone depths of Mount Meana and stretch for 1650 metres, about one third of which can be visited. 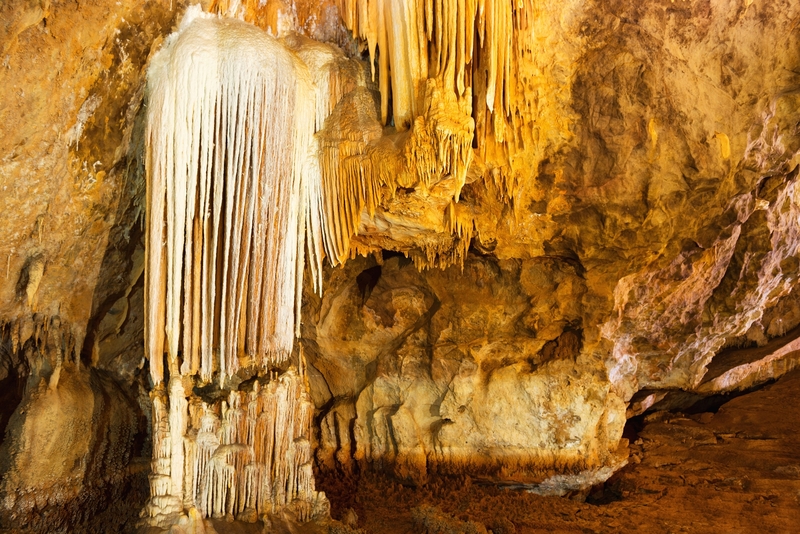 The evocative rooms stand out due to their size and variety of concretions: stalactites and stalagmites, flowstones and aragonite. 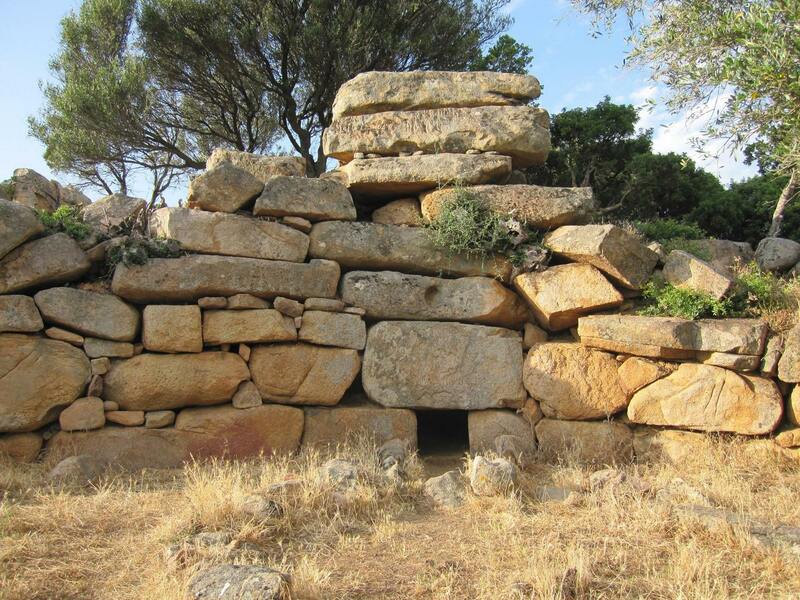 Other caves to examine are those of the Campanaccio (Cowbell), of the Capra (Goat) and, above all, Su Benatzu (or Pirosu, named after its discoverer), inside which a Nuragic temple was discovered. On the back wall, a stalagmite acts as an altar. At its feet, there is a well, where two thousand metal objects were found (daggers, swords, bracelets, rings, necklaces, domestic tools and ex-voto offerings). You can admire them in the village's archaeological museum, along with other sites in Lower Sulcis, the major one of Santadi being Pani Loriga. It has stratifications from the 4th millennium BC to the 8th century AD: here, there is a civil and military Phoenician-Punic settlement (7th century BC), with necropolises, built on an impressive Nuraghe and on various Domus de Janas. It continued to be frequented during the Roman and Byzantine periods. There is endless evidence of the Nuragic age: the Tomb of Giants of Barrancu Mannu stands out. It dates back to the 14th century BC and was built with large pinkish-yellow granite blocks.